The domain name PokemonGo.net was auctioned on Saturday, July 16, for $20,950. The domain PokemonGo.net was originally registered in 2008, it expired in 2011 and re-registered. Then this July it expired and was again available for registration. On the 13th of July DropCatch.com, a domain name auction house, grabbed it. 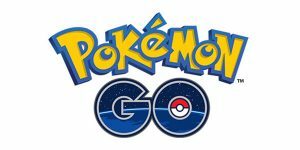 PokemonGo.net was then in a 3-day auction and it sold to the highest bidder for $20,950. Whois has not yet been updated so it not yet known who the buyer is. That is if the domain name is paid for and is not re-auctioned. This purchase has a high legal risk as “Pokemon” is a registered US trademark and the trademark for “Pokemon Go” is pending registration. Nintendo has filed 14 UDRP complaints (most from 2000 to 2002) for domain names such as pokemonpikachu.com and pokemonplanet.net. Nintendo hasn’t lost a single complaint up to this date. DropCatch.com is currently auctioning the domain name ipokemon.com and the domain currently has a $365 bid. The auction ends tomorrow. Last week Nintendo, the developer of the new game Pokemon Go, bought the domain name pokemon.club from the .Club registry for just $10. Huge waste of money. As you’ve written, TM and a .net. Ummm… Thought you were a domainer that didn’t care or respect trademarks. Recall you posting a .club video that was using the words “super bowl” as part of their marketing. I informed you that NFL polices this Mark aggressively. And you deleted my post! That is when I lost respect for your blog and realized that Thedomains and ricksblog were the only ones that weren’t paid shills. Really liked your blog before that. Had me fooled! I have never deleted a post. Especially yours that I don’t remember. Maybe your post was caught by the spam filter if you had links and/or you were a new poster. It was posted and I replied to it too. Comments from new posters are caught and waiting moderation. You didn’t see it at the second you posted it and you thought I deleted it. Never happened. It was approved a few minutes or hours after you made it. The UDRP will be like shooting ducks in a barrel. “MakeAmericaGreatAgain”.com is registered buy someone else; but yet is being used by Mr.Trump for free. “MakeAmricaWorkAgain”.com is also registered by other people; buy it is also being used by other party as their slogan and for free. Common trademark, solid trademark and copy written etc.. rules and policy; seems does not applied to everyone. Just a thought.